I have attended the Avaya ATF in Vienna. It was my first ATF btw. 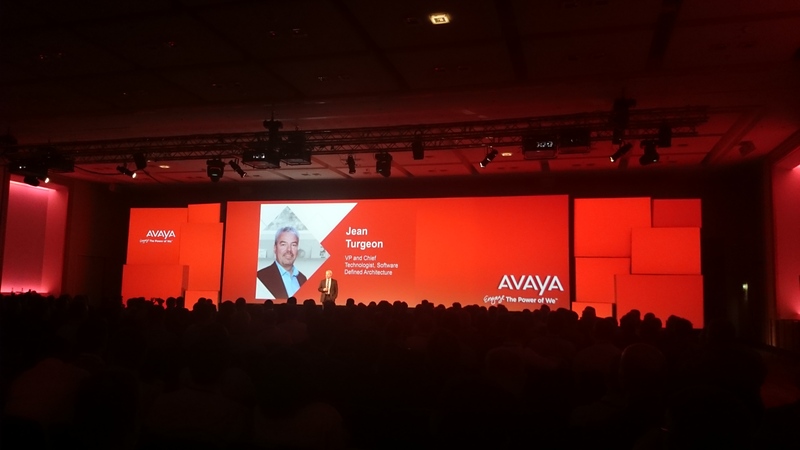 I will try to provide a summary of the news that Avaya has shown at the conference. First I have to say that I really liked the atmosphere at the ATF. It is one of the events, where you can still get in contact with the right people. Some events have become so large that you can not connect to the people that are responsible for a new product or technology. I was really glad to find out that this was at the ATF not the case. It was also very interesting for me to talk to other customers and get feedabck about their point of view of several topics. In the past the ATF was covering data networking only , they have changed that. Now you find also voice and video related content on the ATF. Anyway I have to admit that I have only attended to BreakOut Session with Network related toppics. So lets get into the details from Avaya. Avaya has shown 3 new hardware platforms at the ATF. The ERS5900 Switch family, the VSP7200 and the ONA Adapter. All 3 platforms where announced erlier, but here at the ATF I suppoted all boxes and could play a littlebit with the devices. The VSP 7200 is a 48 Port 10Gigabit Switch with 6x 40Gig QSFP Slots. It is available with SFP+ slots or as a fixed RJ45 copper version. It runs the VOSS release. The SDN strategy that Avaya has presentet was very different than that what you get from most of the other compeditors. The main goal is to solve problems. Avaya is saying that most of the problems that usally are tried to solve with a SDN solution are already solved with SPB based Fabric approach from Avaya. Instead of solving this problems again with a SDN solution Avaya is leveraging the benfits of their Fabric and extending it. To achive that Avaya has been involved in several projects like OpenFlow, OpenDayLight, KVM and Open vSwitch and contributed code like the Fabric Attach feature so that a Avaya Fabric can connect to these platforms. To control all that Avaya has introduced their Fabric Orchestrator SDN Fx product. The SDN Fx architecture will include Fabric Orchestration, RESTful APIs, SDK, SDN Apps, OpenStack and a Discovery Engine. Besides the SDN parts you will also find here all the other Avaya Management products like VPFM, COM and the new Fabric Attach Tunnel Manager. In this times of Software defined everything this will come out surprisingly as a hardware aplliance wich supports 25 cuncurrent Sessions at the beginning. Avaya will introduce their new top certification ACE-FX. The certification is announced as a 4 ½-day intensive hands-on workshop and exam held at Avaya Networking Lab facilities. To make the exam you need to hold other Avaya exams or high level certification from other vendors. It is required to understand the complete stack of technology to complete the exam. To get the Platinum-Partner status it will become mandotory to have ACE-FX certified Engineers. Another benefit of the new certification will be that a ACE-FX certified Engineer will get a higher priororty in the support case que. Avaya has steadily improved their SPB based Fabric technology. Sometimes you don´t need to inevnt the wheel again. It makes more sense to leverage an exsisting technology and evolve it. 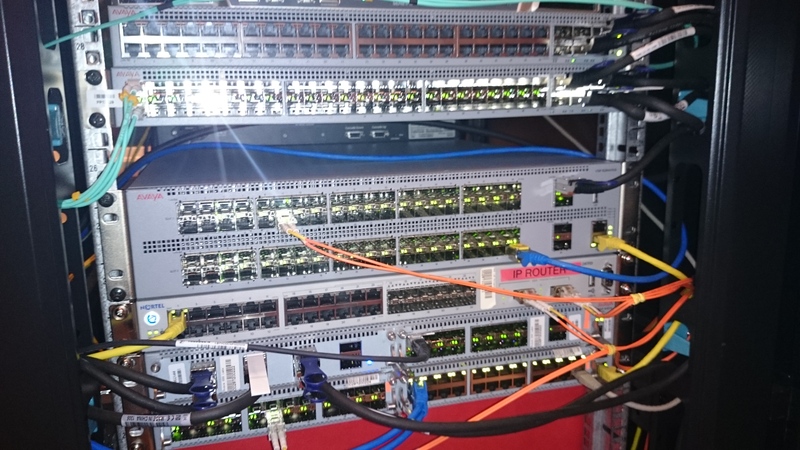 To combine the Fabric with SDN creates a lot of possibilties. I also like that Avaya has contributed their code to several open source projects. Now is in open vSwitch the fabric attach feature available. The next step is that the Fabric Attach will becomes an open IEEE standard. I also see a lot of potential in that you can spread your fabric over an IP network. Instaed of managing a lot of islands sepratly you now have all the benefits of one large fabric. That makes the operating more easy and solves most of the usual problems. I got the impression that everyone at Avaya is really passionate about their products. I have tried to convince AVAYA to make an emulator publicly available for their switches. Hopefully Avaya is considering to make their VSP emulator public available. I think that would be a huge benefit for all customers. This entry was posted in All, Avaya, Blog. Bookmark the permalink. Hopefully They’ll adjust their product portfolio, so that everything will fit better together. Two more 10Gig ports on the VSP4k and VOSS release on the VSP7k would be my favorites. But it seems Avaya is now one of the top of the line networking supplyers. besides all the updates and new products the best part of a conference is to meet people. It was a pleasure to meet you Rolf. Hopefully we see us again in the future.